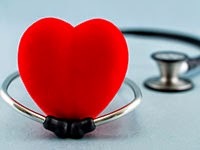 Dr. David Jernigan, Biologix Center: Things Your Doctor Likely Doesn't Know About the Heart! Things Your Doctor Likely Doesn't Know About the Heart! I am going to tell you things that virtually 100% of you (and likely your doctors) don't know. Don't read this if you want to continue believing the body works the way we all were taught. But doesn’t the brain control the entire body? No. The heart has a brain of its own and operates independently of the head brain. It only takes a red blood cell 16-20 seconds to leave the heart and go all the way to the toes and back again, so the heart experiences everything happening everywhere in the body virtually instantly. So on top of this, the heart is also operating on a different type of time, and is indeed the central brain of the body. Playing the recording to your brain is much like taking a husband and wife who live under the same roof, but haven't really talked for years...the dust is going to fly!